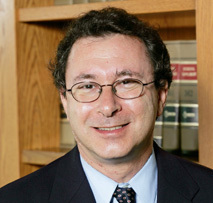 Lawrence M. Solan is the Don Forchelli Professor of Law and Director of the Center for the Study of Law, Language and Cognition at Brooklyn Law School. He holds a Ph.D. in Linguistics from the University of Massachusetts and a J.D. from Harvard Law School. Much of his writing is about the interpretation of statutes and contracts. His books include The Language of Judges, Speaking of Crime (with Peter Tiersma), and The Language of Statutes: Laws and their Interpretation, all published by the University of Chicago Press. He and Peter Tiersma recently published The Oxford Handbook of Language and Law (2012). Solan has been a visiting professor at the Yale Law School, and in the Psychology Department and Humanities Counsel at Princeton University.